Miller defeated Diaz vía right uppercut at the end of the 1 round!!! GF justin !! i try to close the distance and i can doit well managing my speed advantage!! well nice KO !!! A candidate for the KOTN ,,, please guys if you have something to record your fights it would be great to help for the awards !!! gray maynard defeats dominick cruz , in the second round, by ko with a uppercut after landing hard knees to the head in back north south control then lets him up to finish the fight with left jab right hook left uppercut ko for the finish..
Gray Maynard (crazykid) 2-0 defeated Dominick Cruz (TruSolja) 1-1 via 2nd Round KO. The first round was fight of the night material, back and forth standup and ground, but the second round I got caught with an intercept knee that rocked me. I got rocked two more times in the sprawl position from knees to the head and when I stood up the fourth time was a charm. Good fight crazykid, looking forward to another one! 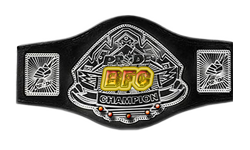 Frankie ''The Man'' Edgar (CroXkiLL) Defeats Sean Sherk (CTROB) via TKO in round 2. I got rushed into this fight by CTRBO.. I was wanting to warm up more but he was getting ansy.. so I decided to fight him on spot without really being ''prepared''. But it's all good it was a good fight and he tryed to implement his game but it just didn't work. If you can upload the video that would be great (I know you record your fights). yeah it was a good fight but no need to pop off all I was asking for was a time you've been on UFC all day, first you said tonight then you said a couple hours. Just give me a time and I'll make it to the fight I'm a grown man I really don't have time be on hold for you or anyone else all day just simply schedule a time was all I was asking. And I didn't rush you I said nevermind we could have fought some other time you said lets fight now so I don't know how I rushed you. I'm not ''popping off'' I'm just enjoying my win like I said in my message to you on psn. Second of all I haven't been on all day.. I left my PS3 on while I was shopping and boarding a dog. I only played a couple matches before we fought. But yea.. you're good in the clinch I'll have to work on that for the next time we fight. Anthony Pettis(MrSwagger) defeats Melvin Gallard(Toostrange) via left hook.Good Fight man!! !